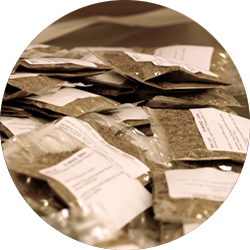 From annatto seed to za’atar, our high quality spices and classic blends will inspire your culinary creativity. 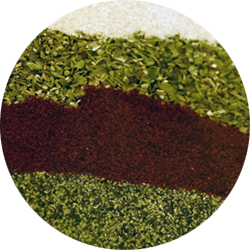 We offer a complete library of spices in order to supply everything your menu needs. Our comprehensive program offers a variety of pack sizes to fit your unique business needs, from 1# to 25#. Whole, ground, cracked, toasted, crushed…any herb or spice-any way! Looking for consistency among a multi-unit operation or just need to save some labor? Classic Foods can blend and package your recipe. A minimum batch size of just twenty-five pounds and a reasonable R & D fee of $100.00 makes this service accessible to businesses of all sizes. 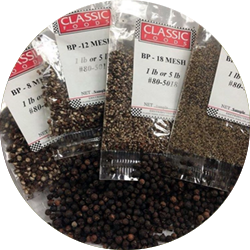 Our goal is not be the Northwest’s biggest spice distributor, just its best. We buy frequently to ensure freshness and our long-term relationships with suppliers guarantee a continuity of supply.